Featuring a flawless clear glass top and two beautiful pull out drawers, the SlayStation® perfectly fits in most spaces for to glamorously showcase all of your makeup and accessories right where you want them! 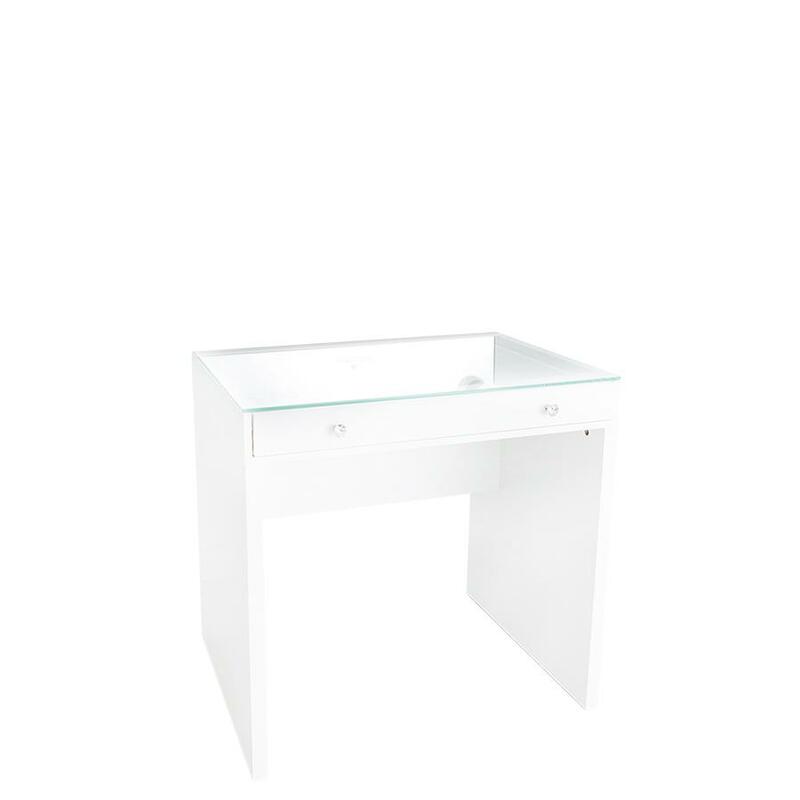 Go for the SlayStation® Mini vanity table! Pre-drilled mounting holes lets you seamlessly mount your Hollywood Glow® XL or Hollywood Glow® PlusVanity Mirror on your SlayStation® Mini securely and beautifully. All-new space-saving mini size easily fits in bedrooms and more! Edge-to-edge clear view glass top elegantly showcases your cosmetics collection, treasured mags and more!